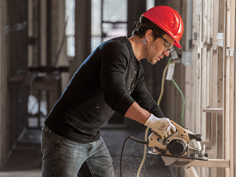 Measuring noise levels and workers’ noise exposures is an important part of a workplace hearing conservation, hearing loss prevention (HLPP), or noise control program. It helps identify areas where high noise levels exist, the level of risk to employees who may be affected, and where additional control measures can be employed. For occupational hygiene purposes, the sound level is measured to determine noise exposures. Various instruments and techniques can be used, including sound level meters, integrating sound level meters, and noise dosimeters. The choice depends on the type of workplace noise, the working environment, and the information required. 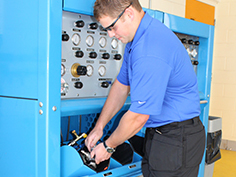 Educate and train the workforce on Noise hazards, audiometric testing, and proper use of hearing protection devices. What things NEED TO BE CONSIDERED when planning noise measurement? The purpose of the measurement: compliance with noise regulations, hearing loss prevention, noise control, community annoyance, etc. The pattern of the noise – continuous, variable, intermittent, or impulse. Do you have a noise problem in your workplace? 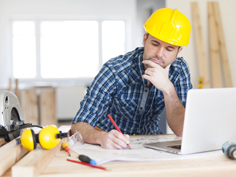 Not sure which of our noise assessment consulting services is right for you? Get in touch with us today and we’ll help you choose the right path towards protecting the hearing of your workers.